WordPress is very strong platform to publish and promote ideas and expertise in certain niches with freedom. With this freedom comes interaction via websites and social media platforms. Within decades, people from different parts of the world have become more connected via technology. If you are setting up a business through a website, then the easier way to interact with your audience is by getting connected with them through the popular mediums of Facebook, Twitter & other Google social media sites. (Improve the social media engagement of your website through Orbit Fox Plugin). However, if you already exist on these sites and no one is commenting on your blog posts, then we might have a solution. You can get the conversation started by giving the option to readers to comment with an account they’ve already set up. The Ability To Comment via. multiple methods can greatly increase comments on your blog. For this purpose, we have collected a list of the most commonly used (by bloggers and site owners) WordPress Plugins and 3rd party commenting and discussion systems, along with their key features and a couple of useful links for your reference. Disqus, as one of the most popular “comment” plugin, helps build connections between the audience and the social media platforms. The plugin not only makes commenting easier, but it also helps the users analyze, monitor and learn more about their audience. Disqus is one of the best tools for increasing the number of comments on your site and growing your network instantly. 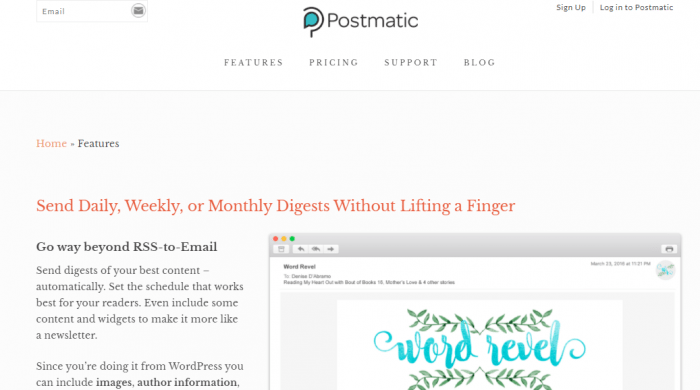 Postmatic handles the content management via your emails and helps you stay connected with the world. There are two defined ways in which the plugin maintains contact lists. Firstly, it adds individuals who comment on the posts, to the email lists as contacts. Secondly, it posts the email replies as comments on the websites. This is a good source for generating more reviews/comments as well as for driving traffic to the website. Jetpack Native Enhanced is a premium plugin developed specifically to assist bloggers for progressing on the discussion and community forums. The plugin essentially integrates with the social media accounts of audience to get them started on discussion boards. With the advanced features of the plugin, bloggers can gain opportunities for growing their networks. Other features keeps the audience engaged by notifying and informing them with notifications. The plugin functions by managing many diverse areas all within one product. Often termed as the “all-in-one social alternative”, the plugin is suitable for bloggers and website owners experiencing trouble in managing the comments and messages at the same time. Muut makes up for all the features that are needed to run a large website. The plugin offers tons of features for maintaining comments and threads of the websites. Basically, wpDiscuz4 is a useful plugin for new beginners and bloggers to handle the comment and social media sections of the websites. Yoast Comment Hacks, is a complete plugin for the management of comment sections for the website. Main purpose of the plugin is to maintain the comments on websites. With the integration of social media icons, the plugin makes it easier for comments to be managed via Facebook, Twitter and other social media platforms. There is no purpose of blogging without an audience. In the competitive world of social media today, it is important to stay connected with the audience and remain in constant touch with them. Discussion forums are the backbone of the blogging communities. We have carefully selected a few handy plugins that can aid in integrating the comment section between social media websites. Does the FWD Mega Bundle Have Everything You Could Ever Need?